WHEN “CityNews“ reported about the opening of the 2018 Sculpture In The Paddock youth sculpture exhibit at Shaw Vineyard Estate several weeks ago, we were unaware of the nasty surprise Mother Nature had in store. That very night, an unseasonal storm whipped up, destroying the marquee and some of the artworks with it. Plans for a long, leisurely showing at Murrumbateman were thwarted. But not to worry, organisers rescued most of the artworks and prepared them for an exhibition in The Link – Ginninderry, next to Strathnairn Homestead, which opened earlier this week to the serenading sounds of the “With One Voice” Ginninderry choir, directed by Matthew Arnaudon and Amy Stewart. The intervening time had been used by participating pupils from Mt Carmel Catholic, Binalong Public, Wee Jasper Public and Berinba public schools to repair the sculptures. One, titled “Fruit-Bowl Disaster”, depicting fruit being invaded by insects, is now fully restored and on show. On hand for this second opening was Michael Green, principal of Mount Carmel College in Yass, whose students, like others from the region, had enjoyed an intensive three days with professional teachers, experimenting with different media, learning how to install their art works and how to describe them and label the artworks. 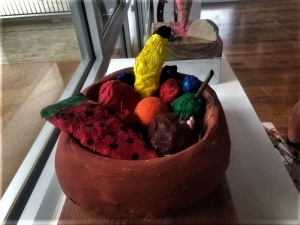 The titling is as engaging as any to be found in a professional gallery, revealing the personal interests and preferences of the budding sculptors. Some told of their favourite animals, and one explained how she and her mother used to pretend to be wolves when she was little – that sculpture was of a wolf. Another young artist had created a delicate wire tree with treasures hanging on it that represented her “secret dreams”. Founder of the student project, local sculptor, Al Phemister, told “CityNews” that more than 180 school children had been part of the program since its inception in 2015. 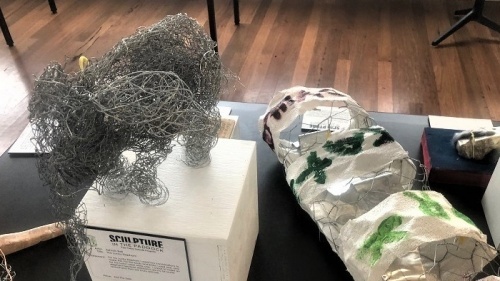 This year’s program saw pupils involves themselves in workshops with professional artists, who introduced them to the imaginative use of different media – soapstone, plaster, wire and wood, for instance – during September, then create sculptures now on exhibition. They also spent some time at the National Gallery of Australia as part of the stimulation which this project offers. 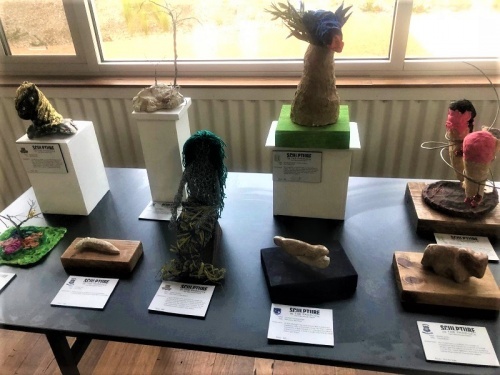 2018 Sculpture in the Paddock schools’ program exhibition, The Link, Ginninderry, 90 Stockdill Drive (adjacent to Strathnairn Arts Association) Holt, 9am-5pm, Monday to Friday & 10am-2pm, Saturday and Sunday, until November 19. Most works are for sale.